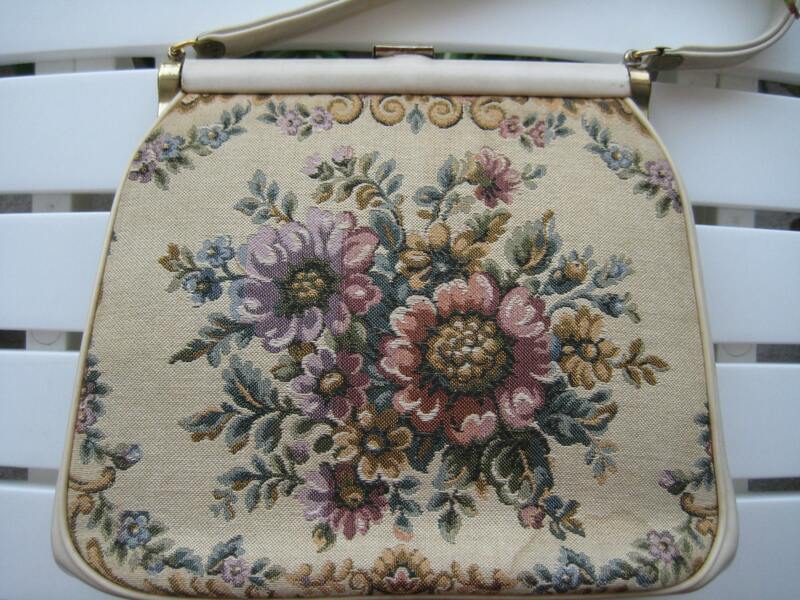 VTG Needlepoint Kelly-style Handbag by J.R.
J.R. (Julius Resnick brand) handbag from the 1950's. Wonderful condition. 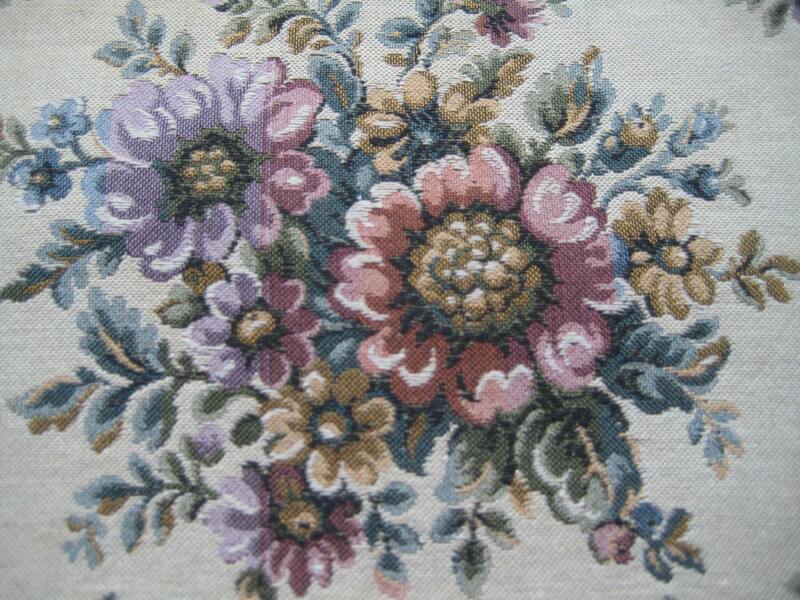 Very pretty flower loop tapestry needlepoint design on both sides of the body. Gold tone metal frame with spring metal catch. 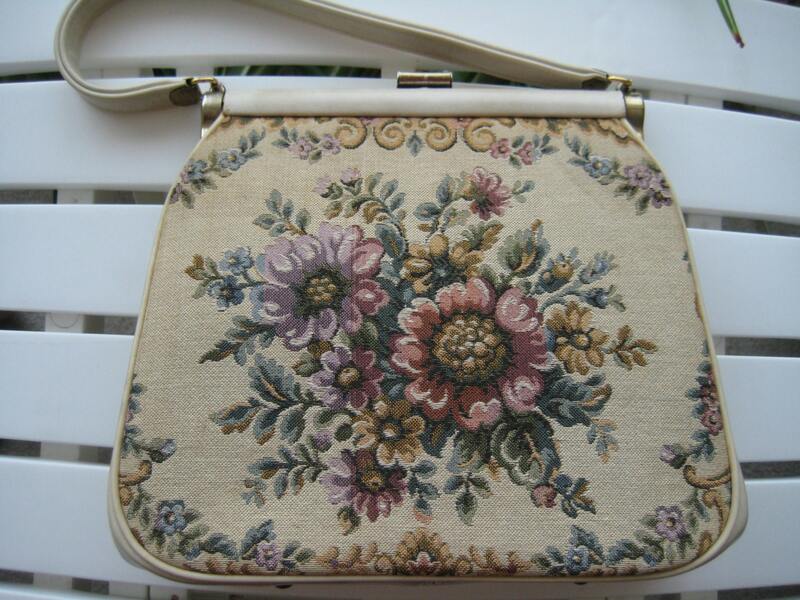 Leather-like cream tone skin accents with matching handle with a 6 inches drop. 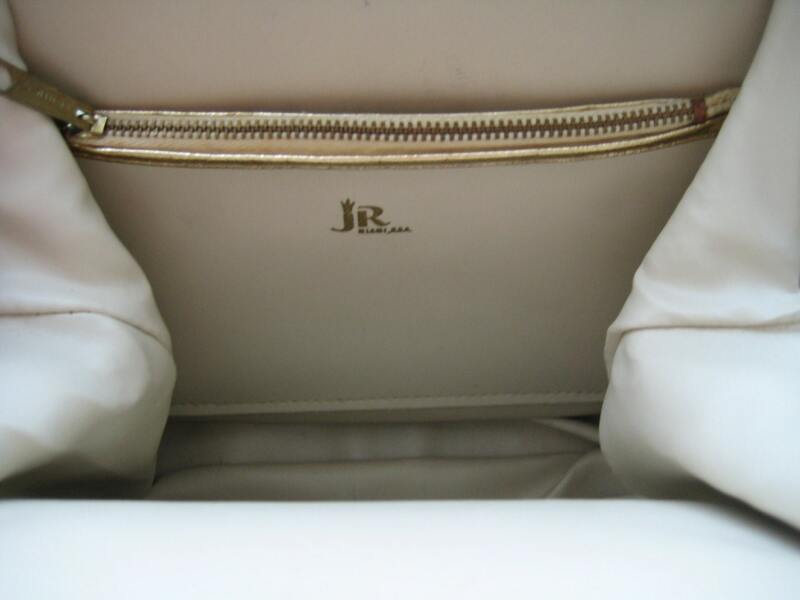 Interior is matching cream tone vinyl with one side pocket with metal zipper and J.R. embossed label. Dimensions: 10 inches long x 9 inches tall x 3 inches wide on the bottom.